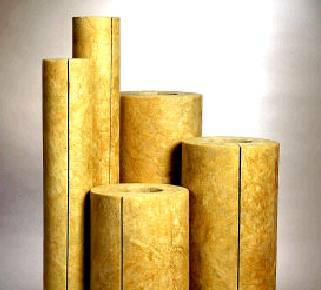 Fiberglass Pipe Insulation is a one piece molded insulation made from glass fibers bonded with a thermo setting resin. The jacketing is a white kraft paper bonded to aluminum foil and reinforced with a fiberglass scrim. The longitudinal lap of the jacket has a self-sealing adhesive strip. It can also be supplied unfaced (no jacketing). Mineral Fiber Pipe Insulation is made of inorganic fibers split and hinged for easy snap-on assembly for industrial insulation and fire protection on piping in power and petrochemical plants. 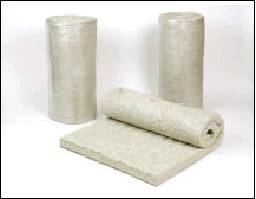 Mineral Wool Blanket Insulation is lightly bonded mat stitched to a 1" galvanized hexagonal wire mesh. 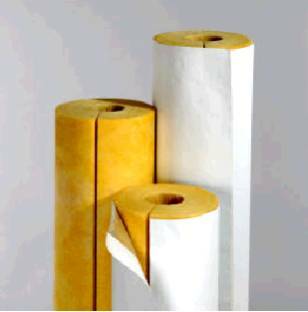 These blankets are recommended for thermal insulation of large pipes, flanges, valves, vessels, and boilers and are ideal for insulating large curved surfaces. 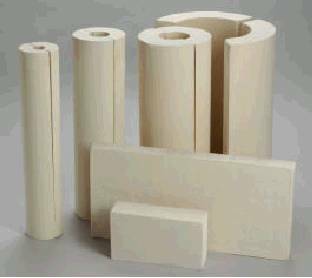 Calcium Silicate Pipe Insulation is made of hydrous calcium silicate. It is a white, asbestos free, rigid insulation product which is used for insulation upto 1200 deg F. It is a molded, high-temperature, pipe and block insulation with superior durability. It is an excellent insulation for high temperature process and power systems.